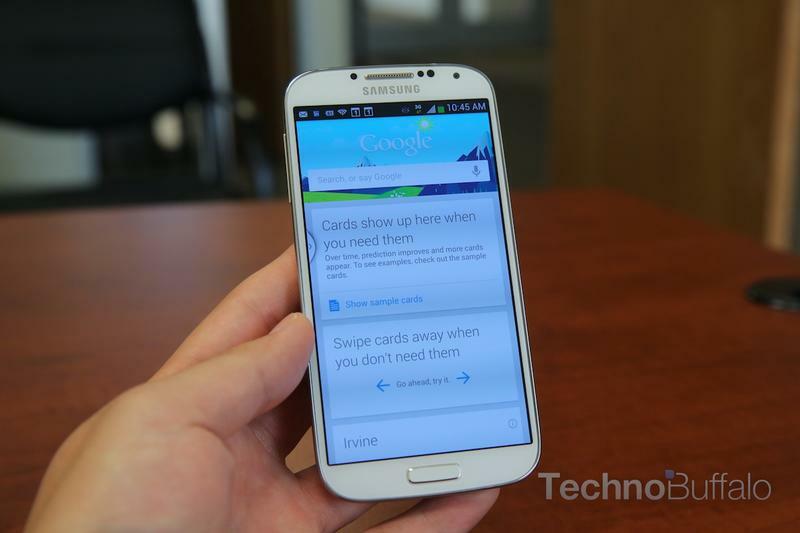 Google Now will possess even more personal assistant capabilities in an upcoming update, according to Android Police. Based on source information and code found in Search 3.3, the site deduced that Google Now will make it much easier to pay your bills with monthly reminders and other helpful information. As mocked up in the image below, the card would show users when a bill is due, and even provide a link to pay that particular bill. Android Police typically stamps its own exclusive reports with scores of one through ten—one being lowest and ten being highest—and this one got a nine out of ten. Google’s predictive intelligence experience is plenty capable of providing information before a user even asks for it, but helping with bill pay could make the service that much more powerful. It won’t just be about glimpsing at a sports score or checking the weather; akin to getting traffic conditions, beefing Google Now up with bill reminder capabilities will definitely make the service that much more valuable. In such a hyper-connected world, it’s hard to remember to pay a bill, even with an existing reminder system, but Google Now’s implementation could make it much simpler since people look at their phone everyday. Or, even better, imagine a reminder showing up right on your wrist with Android Wear. Not only that, but the card will provide a link that encourages users to take action, which is a nice little extra nudge. The personal assistant segment in mobile is still a fierce battlefield, with Google, Apple and soon Microsoft vying for your valuable information. Google Now is often considered the most powerful of them all, and it’s nice to see the search giant still coming up with ways to make the service more intelligent. 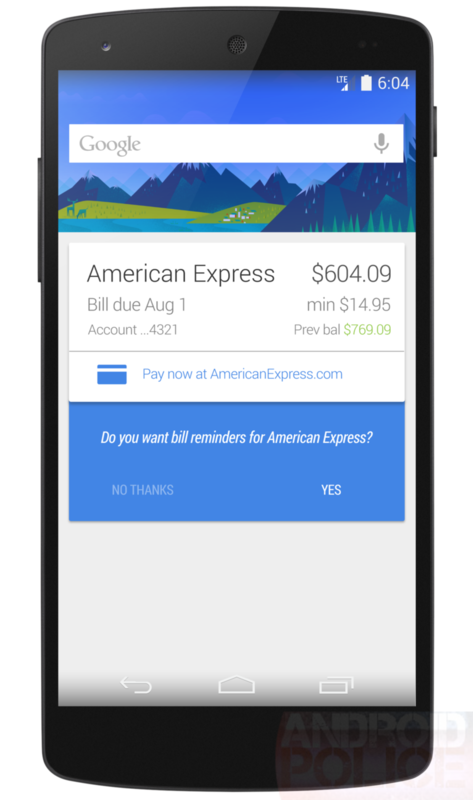 Pretty much anyone with a Google account can use Google Now thanks to its inclusion in Chrome, and the arrival of bill pay reminders will surely be helpful for that influx of new users. The only thing not clear about the supposed feature is when we’ll actually see it implemented.